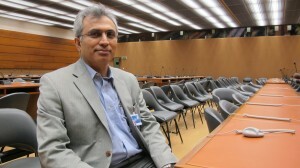 GENEVA, Apr 17 2015 (IPS) - Nasser Boladai is the spokesperson of the Congress of Nationalities for a Federal Iran (CNFI), an umbrella movement aimed at expanding support for a secular, democratic and federal Iran. IPS spoke with him in Geneva, where he was invited to speak at a recent conference on Human Rights and Global Perspectives in his native Balochistan region. Could you draw the main lines of the CNFI? There are 14 different groups under the umbrella of the CNFI: Arabs, Azerbaijani Turks, Baloch, Kurds Lors and Turkmen … all of which share a common cause vow for a federal and secular state where each one´s language and culture rights are respected. The CNFI is meant to be a vehicle for all of us as there are no majorities in the country, we are all minorities within a multinational Iran. Today´s is a regime based on exclusion as it only recognises the Persian nation and Shia Islam as the only confession. Which poses a biggest handicap in Iran: a different ethnicity or a religious confession other than Shia Islam? Iran’s population is a mosaic of ethnicities, but the non-Persian groups are largely located in the peripheries and far from the power base, Tehran. Elements within the opposition to the regime claim that religion is not an issue and some centralist groups would support a federal state, but not one based on nationalities. The ethnical difference is doubtless a bigger hurdle in the eyes of those centralist opposition groups as well as from the regime. Iran appears to have been unaltered by turmoil in Northern Africa and the Middle East region over the last four years. Is it? In 2007 we had several meetings in the European Parliament. Our main goal was to convey that, if any change came to Iran, it should not be swallowed as happened with [Ayatollah] Khomeini in 1979. In May 2009 there were demonstrations against the regime in Zahedan before the controversial elections but the timing could not have been worse for a change. Mir-Hussein Moussavi was leading the so called “green movement” against [incumbent President Mahmoud] Ahmadineyad but he had no real intention of diverting from Khomeini´s idea. Among others, the green movement failed because the people´s disenchantment was funnelled into an electoral dispute, but also because that movement did not include the issue of nationalities in its programme. However, the changes in North Africa and the Middle East will have a positive psychological effect on the Iranian psyche in the long run in the sense that they can see that a tyrannical system cannot stay forever. Islamic extremism of any kind, no matter if it comes from the Ayatollahs or ISIS [Islamic State], cannot solve the people´s problems so both are condemned to disappear. Hassan Rouhani replaced Mahmoud Ahmadineyad in the 2013 presidential elections. Was this for the good? Not for us. Since he took power there have been more executions and more repression. Rouhani is not only a mullah; he has also been a member of the Iranian security apparatus for over 16 years. The death penalty continues to be applied in political cases, where individuals are commonly accused of “enmity against God”. Iran´s different nations´ plights have not yet been discussed. They have often promised language and culture rights, jobs for the Baloch, the Kurds, etc., but we´re still waiting to see these happen. You come from an area which has seen a spike of Baloch insurgent movements who seemingly subscribe a radical vision of Sunni Islam. It´s difficult to know whether they are purely Baloch nationalists or plain Jihadists as their speech seems to be winding between both in their different statements. However, insurgency against the central government in Iran has a long tradition among the Baloch and we have episodes in our recent history where even Shiite Baloch were fighting against Tehran, an eloquent proof that their agenda was a national one, completely unrelated to religion. Paradoxically, Tehran is to blame for the rise of Sunni extremism in both Iranian Kurdistan and Balochistan. Both nations are mainly Sunni so they empowered the local mullahs; they were brought into the elite through money and power to dissolve a deeply rooted communist feeling among the Kurds and the Baloch. Khomeini just stuck to a policy which was introduced in the region by the British. They were the first to politicise Islam as a tool against Soviet expansion across the region. You once said that Iranian Balochistan has become “a hunting ground”. Can you explain this? It´s a hunting ground for the Iranian security forces. Even a commander of the Mersad [security] admitted openly that it had been ordered to kill, and not to arrest people. As a result, many of our villages have suffered house-to-house searches which has emptied them of youth. The latter have either been killed systematically or emigrated elsewhere. The fact that our population has decreased threefold since the times of the Pahlevis speaks volumes about the situation in our region. 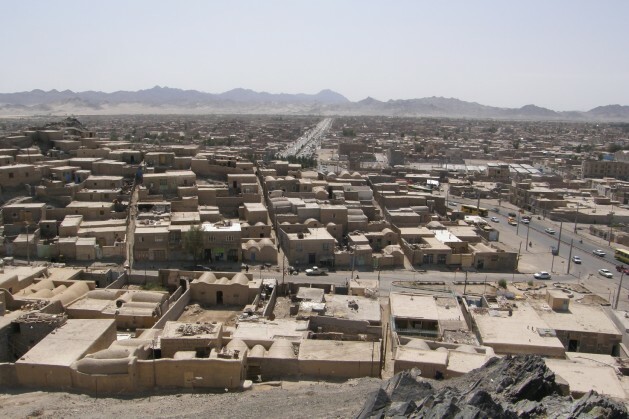 Human Rights Watch has further documented the fact that the Baloch populated region has been systematically divided by successive regimes in Tehran to create a demographic imbalance. Less than a century ago, our region was called “Balochistan”. Later its name would be changed to “Balochistan and Sistan”, then “Sistan and Balochistan”… The plan is to finally call it “Sistan” and divide it into three districts: Wilayat, Sistan and Saheli. How do you react to the claims of those who say that Iran also played a role in the creation of ISIS, similar to Tehran’s backing of Al Qaeda in Iraq to tear up the Sunni society and prevent it from sharing power in post-2003 Iraq? The theocratic regime in Iran indirectly supports extremist religious forces and, at the same time, manipulates them to control and deter them from becoming moderate and uniting with moderate religious, liberal or democratic forces in Iran. The Iranian and Pakistani governments cooperate in the building and using of the extremist groups to first, create controlled instability in Balochistan, and second, to create false artificial political dynamics in the form of Islamic extremists to obstruct and distort Baloch struggles for sovereignty and self-determination. They also try to change the Baloch liberal and secular culture, which is based on moderate Islam, into an extremist version of their own creation of fundamentalist Islam. Balochistan’s geopolitical location allows access to the sea, something that the Islamic groups need. Balochistan’s division between Iran, Pakistan and Afghanistan enables the groups to communicate with each other across the borders and move to and from Pakistan, Afghanistan and Iran to the Arabian Peninsula and beyond. With the support and tacit consent of both Iranian and Pakistani government, they also use the region to transport fighters and suicide bombers to the Arab countries and other locations in the world. From there, financial help is brought to extremist groups in Pakistan and Afghanistan.